I can't believe that there are only a few more hours left of 2014! This year flew by! 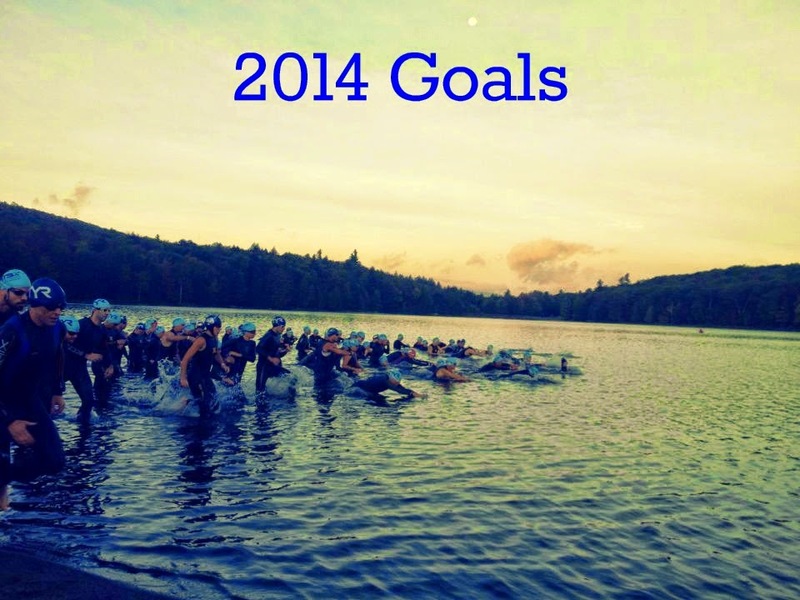 2014 will be hard to top, but that doesn't mean we aren't going to try. 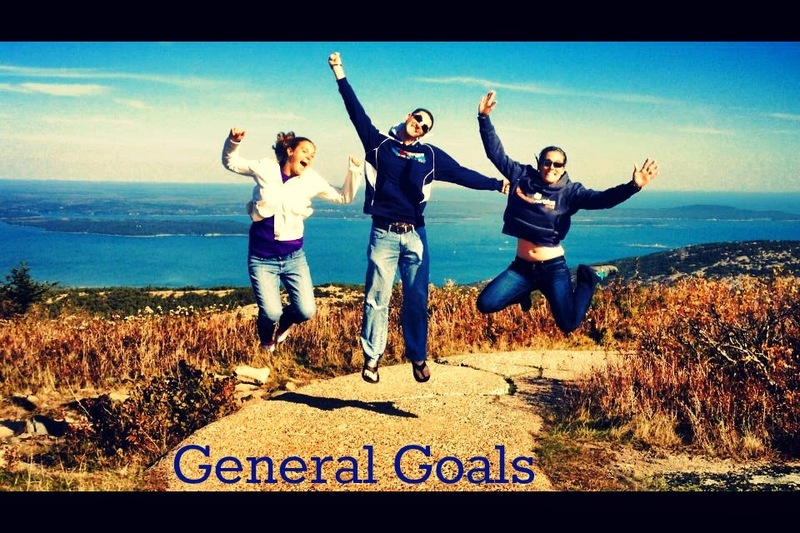 Before moving on to 2015, here is a look back at my 2014 goals. I am really proud that I accomplished a lot of what I set out to do! Participate in at least two running relays. I half accomplished this, I had to DNS one relay because of my injury but I did race Seneca7 again for the third year in a row! Race in two new states. Done! Raced in New Hampshire in February and Kentucky in August. Run my 4th marathon (not during our Ironman). Check! We completed the Philadelphia Marathon in November. Run two trail races. Check! CJ's Resolution Challenge, Mess the Dress and Muddy Sneaker. Continue to run trails as often as possible. We ran quite a few trails this year, we didn't run them as often when I was injured, during Ironman training and marathon training but we always managed to run some trails here and there. We just started back up again with some more trail mileage! Run a 20 miler on trails. Didn't happen this year, but that's alright! The furthest I ran on trails was 16.13 miles and then with my injury and intense training it just didn't happen. PR at least one race distance. I didn't think that I would this year, since we didn't race as often, but I did score a few decent PRs during the second half of the year! I PR'd at the Boilermaker 15K with a time of 1:21:25, at the Runner's World Half Marathon with a time of 1:47:41, at the Philadelphia Marathon with a time of 3:58:03 and at It's a Wonderful Run 5K with a time of 23:48. 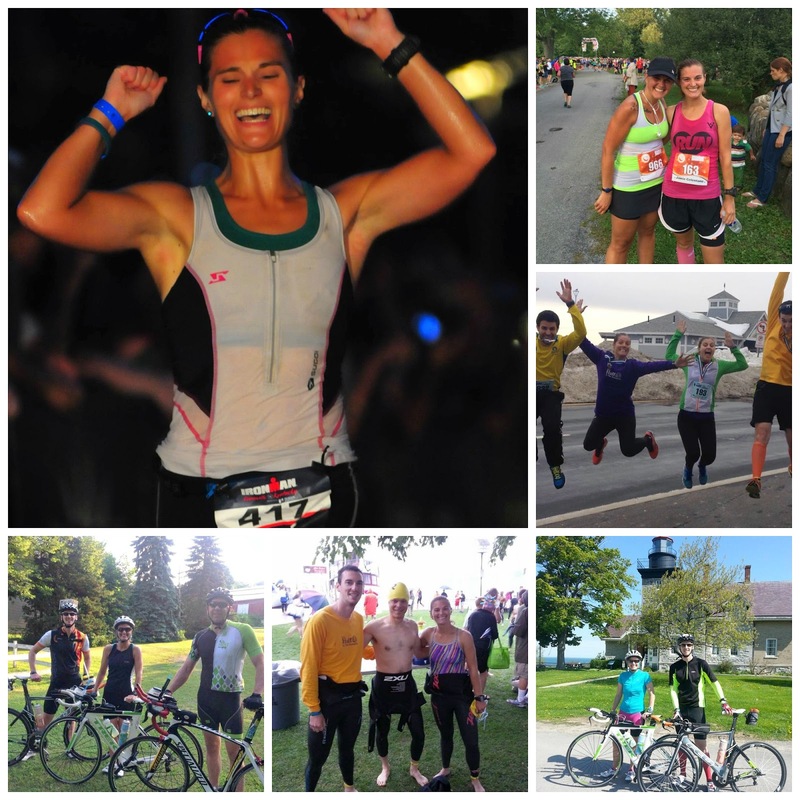 2014 was an AMAZING triathlon year! Finish an Ironman. CHECK!! 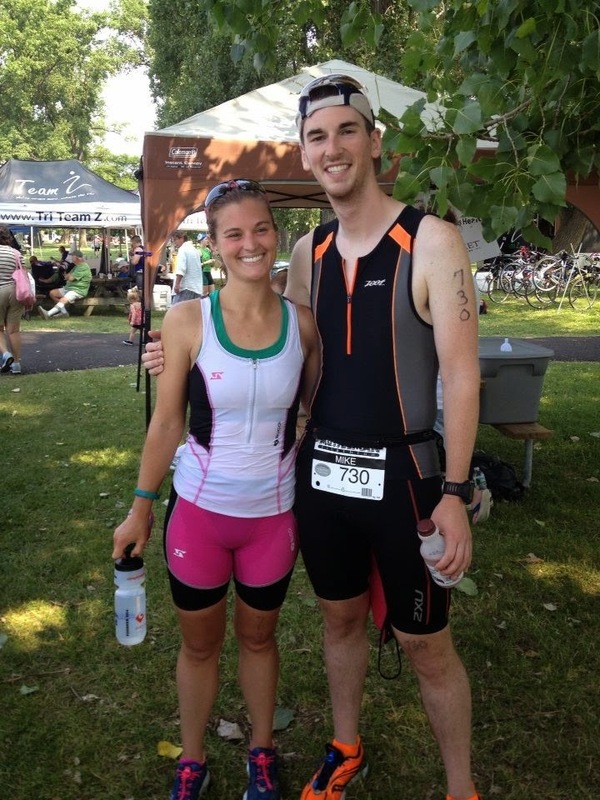 If you missed them, here are my swim, bike and run recaps. 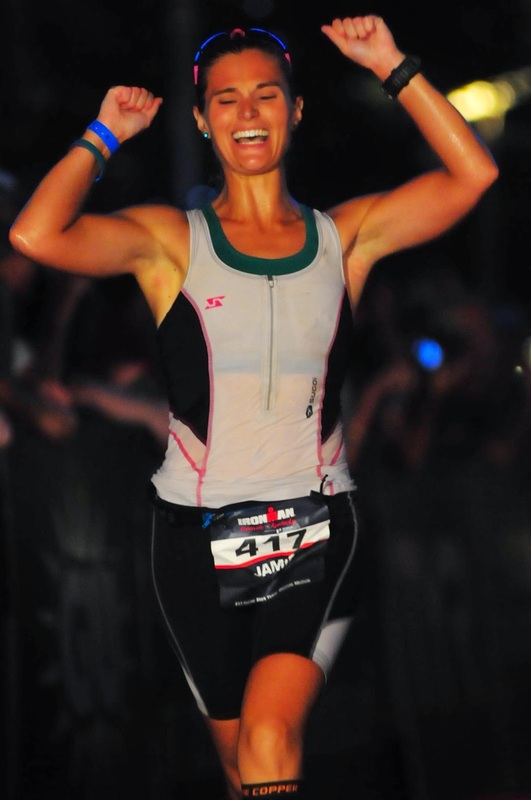 Finish an Ironman in under 15 hours. Check! My finishing time at Ironman Louisville was 13:20:28. That time blew my expectations out of the water! Compete in a swim-only event. I'm happy to say, after not being sure that this would happen, that we did race in a swim-only event. We competed at the final year of Escape from the Judge (1 mile OWS) and we both placed first in our age groups. Become faster on the bike, I'd like to hold at least 16mph during our Ironman. Yes, I do believe I became faster on the bike. I held 15.9mph during our 100 mile tri, which was an 84 mile bike leg. I held 16.16mph during our Ironman, which was almost 30 miles longer than the 100 mile tri bike leg! 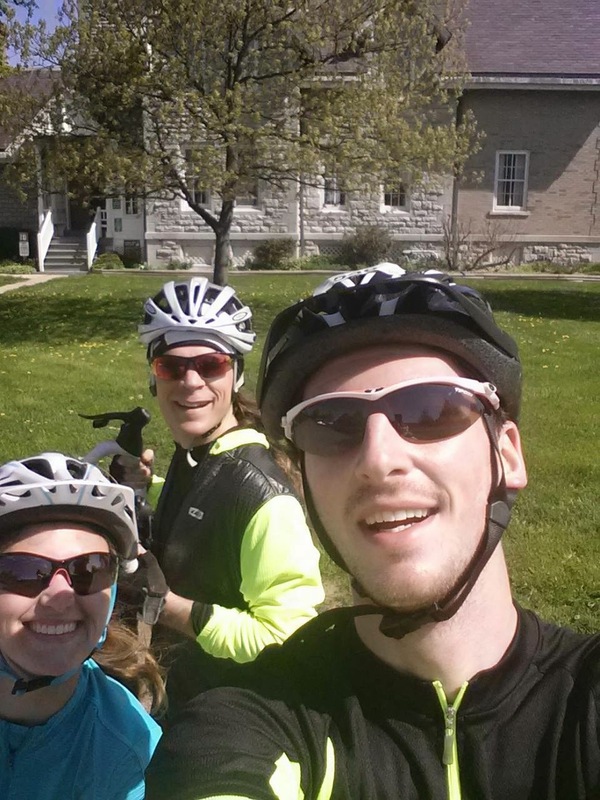 Ride around at least two of the Finger Lakes. Check! 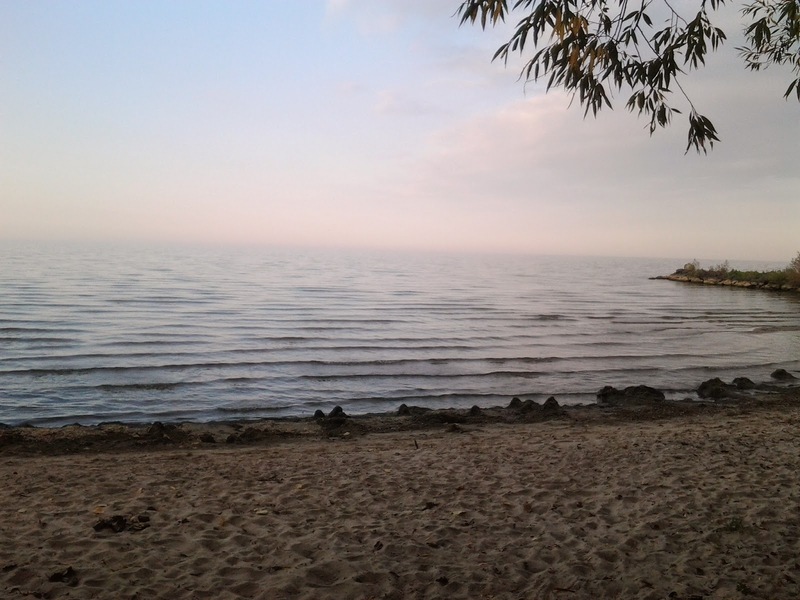 We added three more lakes to our list - Canandaigua Lake, Seneca Lake and Keuka Lake. Complete my first Century (100 mile ride), not during our Ironman. Check! Not including our Ironman, we completed two 100+ mile rides. Become comfortable with general maintenance of my bike, actually learn how to change a tube! We went to a fix a flat clinic and I practiced changing a flat a few times. I still struggle to change a flat completely by myself and I really need to work on being self-sufficient before our next tri season. Swim a total of 150 miles, bike a total of 2,500 miles and run a total of 1,250 miles. I did not accomplish most of my mileage goals this year, but I made a good effort! I ended the year with 96.5 swim miles, 3,150.32 cycling miles and 1,170.74 run miles. Due to injury, some low swimming months and miscalculations the swim and run mileage goals weren't accomplished this year. 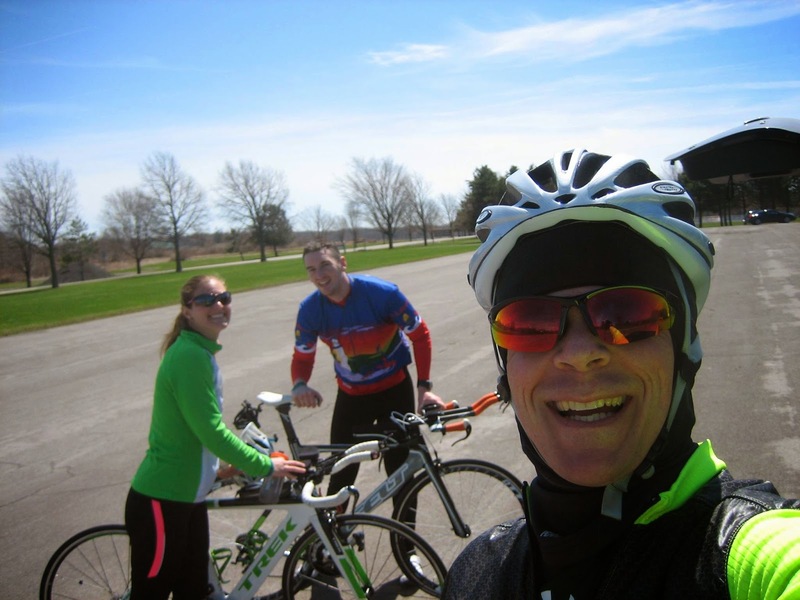 Train and race with friends as often as possible, we'll need them during Ironman training! Big check! We raced with so many friends this year! 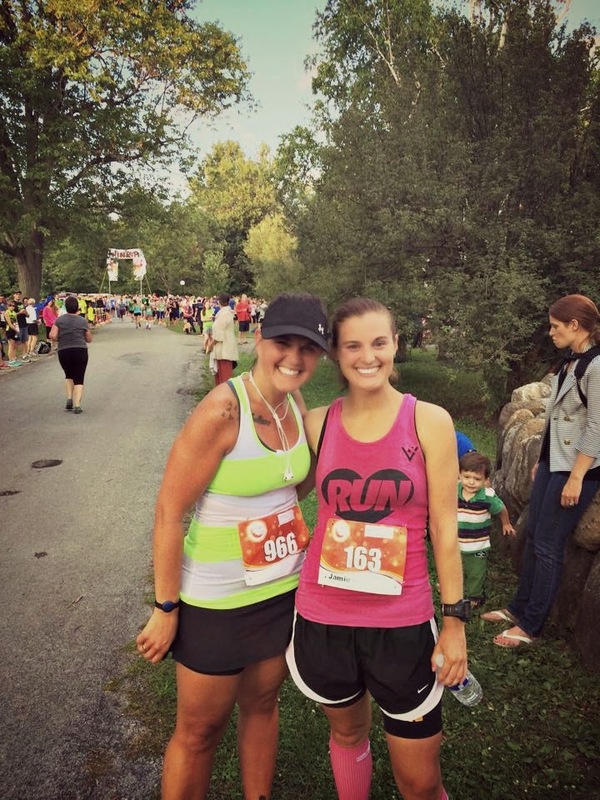 We met up with friends at races and ran side-by-side with friends. 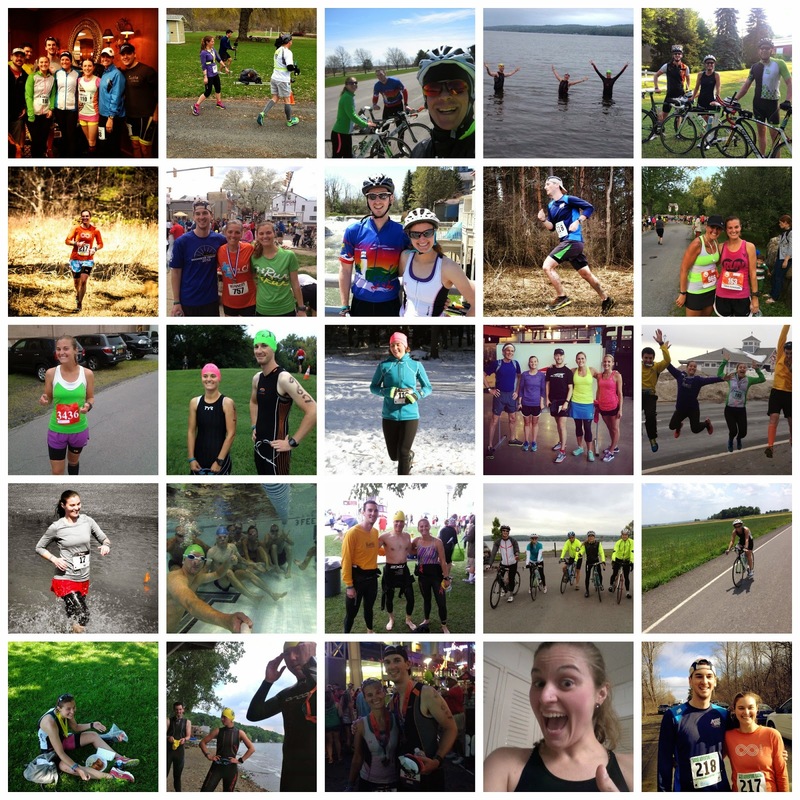 During Ironman and Philadelphia Marathon training, we had so many friends willing to swim, bike and run with us. When I look back at workouts from the year, I would say about 80% of the time we had at least one friend with us and considering the amount of miles we put in this year that says a lot. These people will never know how much it meant to us to have them there with us during training! See Crystal (and Joe) every month until they move. I did not accomplish this, Crystal and Joe moved to Alaska in June and we saw them in January, February and May. I miss them everyday, but I am so excited for our trip to visit them in August! Remain injury-free. Unfortunately, no. I was injured at the beginning of the year for a little while. Volunteer at a race at least once. Check! We volunteered at the Beast of Burden 100 and 50 Milers in August. We manned one of the aid stations for a few hours in the afternoon. 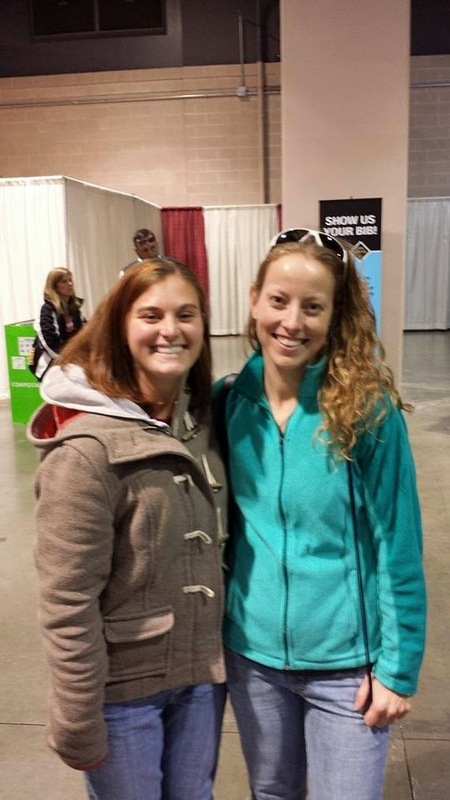 We also volunteered at the 100 Mile Tri in October and manned one of the run aid stations. Organize our race medals and start scrapbooking our triathlon photos. No, I really need to get going on this! We also have a lot of race bibs that need to be organized now, as well. Go cross country skiing with friends. Check! We went cross country skiing with our friends, Sarah and Mark, in February. Well, there you have it. That was my 2014! I didn't accomplish everything, but I came pretty close. Stay tuned for what I have in mind for 2015! Monday started my first day of vacation for three weeks, yay! Mike and I did not travel for Christmas again this year, but unlike last year no one came to spend the holiday with us. My dad had to work part of the holiday so we celebrated with my family the Friday after Thanksgiving. 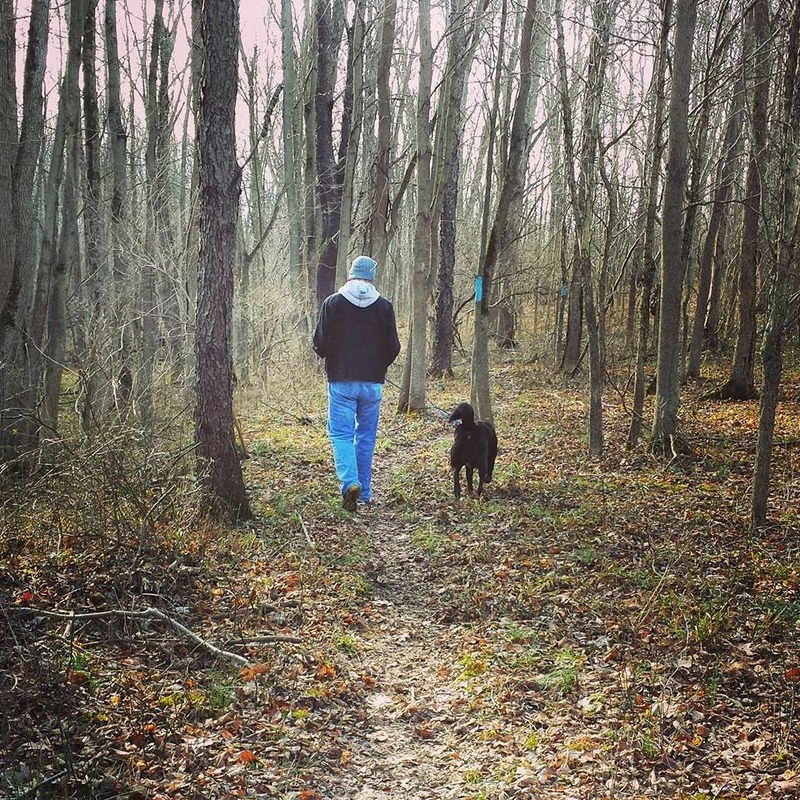 I'm going to admit, I really enjoyed spending time at home with Mike and our fur babies. The rest of the year was pretty hectic, mostly all good things, and it was nice to be able to relax at home during a time of year that can bring people a lot of stress. Luckily, our Christmas was 99% stress-free (we did have to go grocery shopping a few days before the holiday and it was a little bit of a madhouse). We did not get each other gifts (our trip to Alaska was our gift to each other) and we did not buy gifts for very many people. As I get older, I realize that it is not about the gifts at all, but about the experiences that you have with the people that you love. Even though we weren't with relatives during the holiday, we were able to spend Christmas day with people we consider family. Our friends, Sarah and Rob, invited us to spend the day with them. Obligatory post-run shoe photo, thanks Rob and Sarah for the photo! 2014 continues to prove that it was an amazing year, but I am excited to see what 2015 will bring! I hope you had a wonderful holiday and spent the time doing something that made you happy! 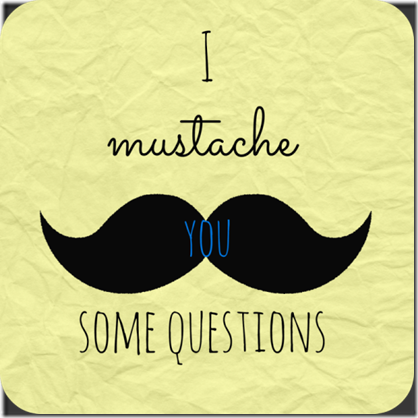 Abby at Back at Square Zero tagged me to do this fun "I Mustache You Some Questions" post. Since it is my last day at work for three weeks, and a Friday, I figured I would post it today! People should just call me "weird"
3. Somewhere warm with Mike, we need a vacation! 4. Hawaii, I guess this qualifies as #3 too. 1. Seeing Crystal and Joe in August!! ....ummm. I'm going to skip this one, haha. I'm also not going to nominate anyone to do this, but go ahead and do it on your blog if you want or answer any (or all) of these in the comments! 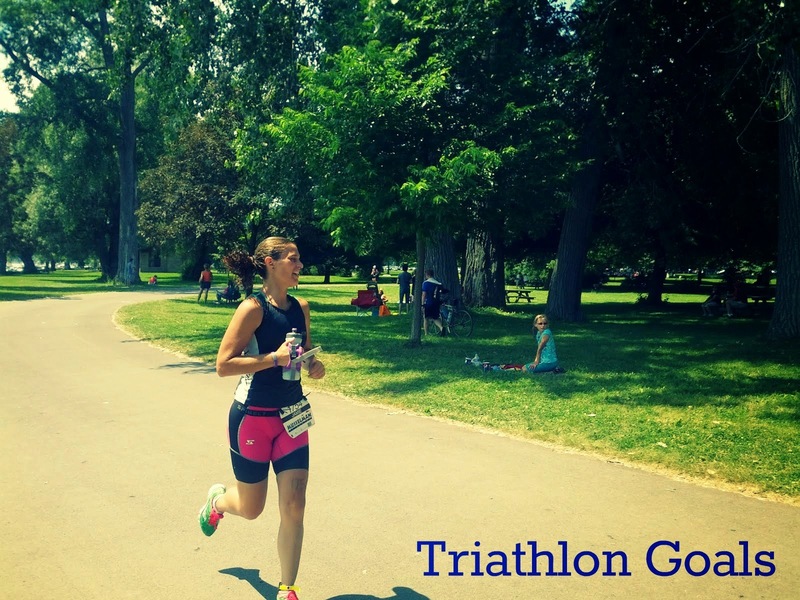 For two years, I have written about my year of "triathlon-ing". 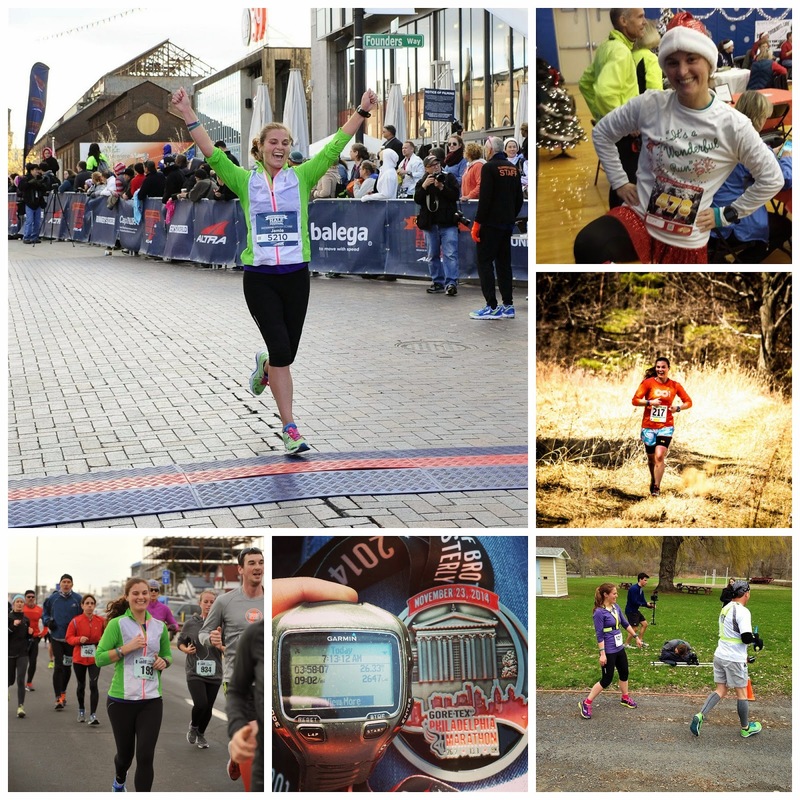 Since the year is almost over, I figured it would be a good time to recap 2014! 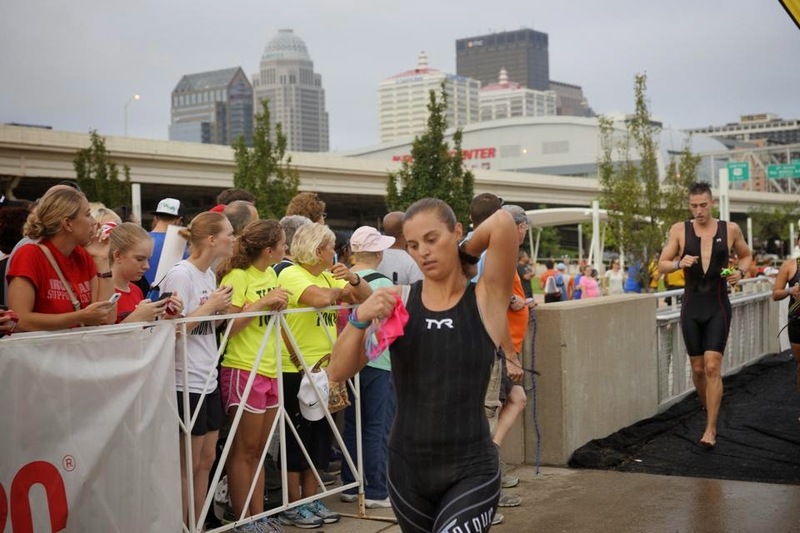 I think this is obvious, but Ironman Louisville was the best race experience of 2014. A close second would be the Runner's World Half and Festival. I had so much fun getting to know all of the other bloggers and the race was pretty amazing too! We didn't race as often as we normally do this year, so 99% of my races went well. If I had to pick a "worst" race experience it would be DNS-ing Cast a Shadow because of my injury. So many. This year was pretty amazing to say the least. Lots of PRs, lots of runs, rides and swims with friends. I can't pinpoint one specific instance so here is a photo collage of our year! I didn't buy a lot of new gear this year, but I will go with my TYR Torque Lite Swimskin. Ironman Louisville wasn't wetsuit legal so Mike and I both made the decision to buy swimskins prior to the race. While I don't think it helped me that much, I do think it helped reduce the amount of drag I experienced during the swim. 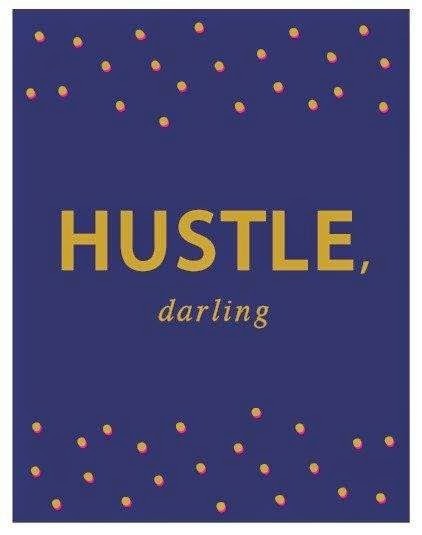 Before the Runner's World Half and the Philly Marathon, my friend told me to "hustle". I think that was pretty good advice for me this year. I also believed that I could do it! Crystal - What can I say about her that I haven't already said? 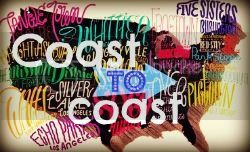 She crushed her own sub-4 hour marathon this year, all while getting ready to move from Cape Cod to Alaska. She continues to support us, and all of her friends, from afar. I don't think I know anyone who is more genuine than her and I am lucky to have her as a best friend! Janell - Janell is an amazing person and we are lucky to have her in our life. I am thankful that Crystal brought us all together! 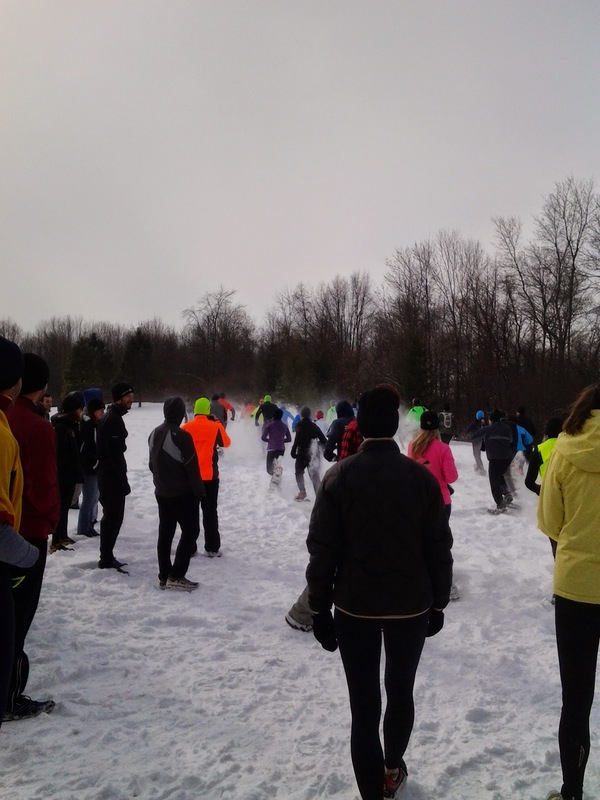 At the beginning of the year, Janell race directed her very first race! Mike and I had the pleasure of being a part of it and I am excited to see it grow in the coming years. 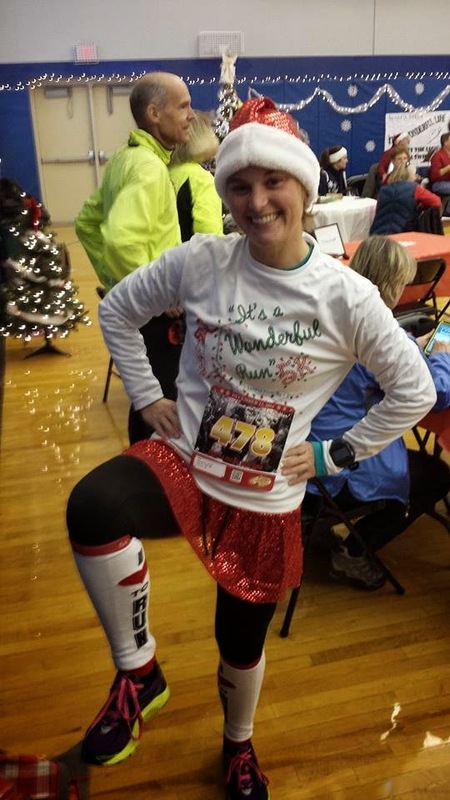 In addition to that, Janell works as a nurse, takes care of her family and trains for her own races. 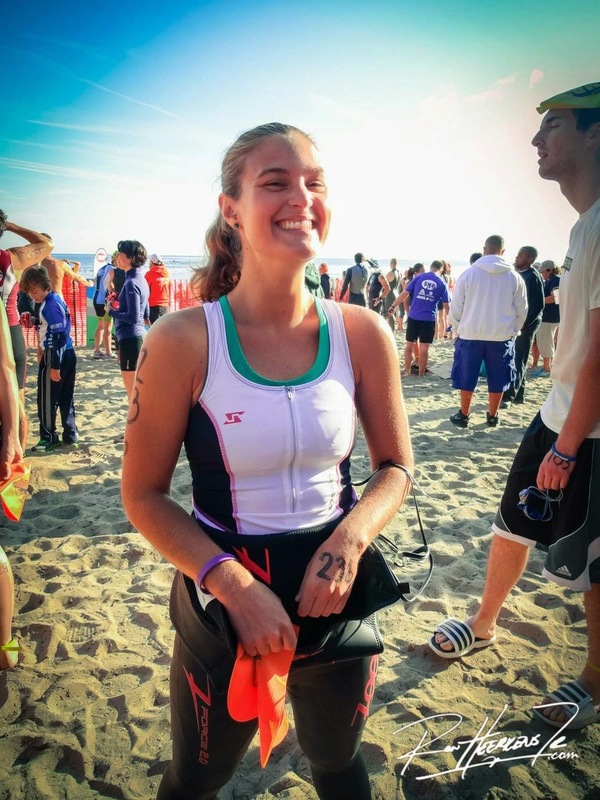 She even crushed her very first triathlon this year! Isaac - He says I got him back into running after a six year long hiatus, but I can't take credit for the kind of runner that he has become. He is always there for other runners, often putting their own goals before his own, and supports us from near (he came to the Philly Marathon to cheer us on) and afar. He also attempted his own self-supported 100 mile run this summer. While he "only" made it to 80-something miles, I am so proud of him! He will be attempting another 100 mile run next year. 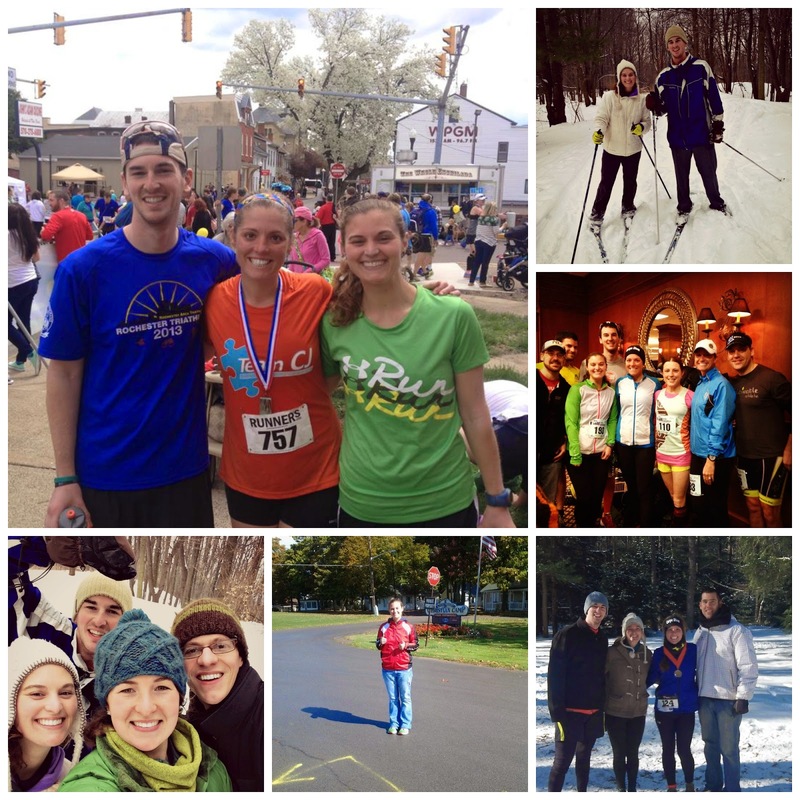 Greg - Our friend and training partner, Greg, had an amazing year! He overcame an injury and went on to not only finish his first triathlon, but he also finished his first 70.3 (in less than desirable conditions)! He is also rather speedy on the trails, but he is very humble about his accomplishments. Sarah - I have known Sarah for awhile now and to say that she had an amazing year this year is an understatement. 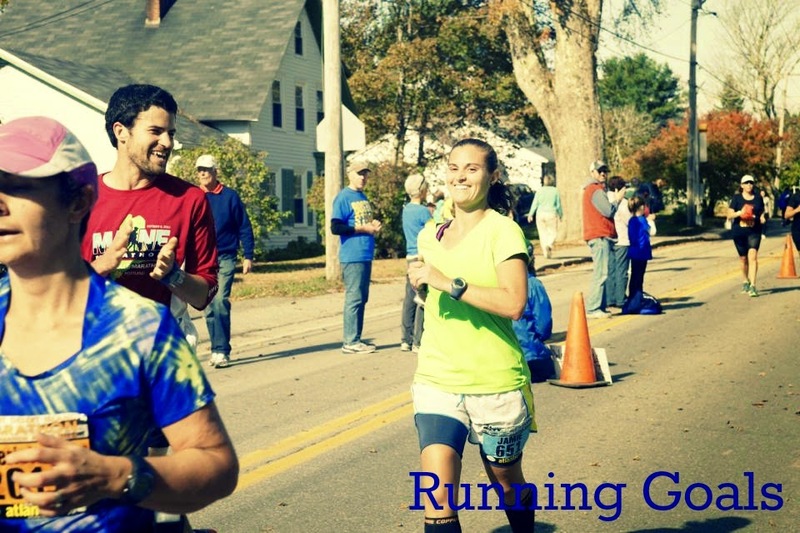 Not only did she PR at every race she ran this year (from the 5K to marathon distance), she also developed an inner strength and mental toughness that I have never seen her possess before. I am so proud of how she developed as a runner this year! Mike - My training partner in life and triathlon. What can I say? I wouldn't be doing this if it weren't for him. He amazed me this year with all of the training that we put in and how he performed at our races. Mike worked full-time during Ironman training (I am a 10-month employee and was lucky enough to be off during the bulk of our intense training in the summer) and never complained. He accomplished a sub-13 hour Ironman and sub-4 hour marathon in the same year, and PR'd at other distances as well. I am so lucky to have him in my life! Luckily, we did not have many "downs" this year. I did become injured at the beginning of the year and had to DNS a race as a result. Fortunately, my recovery time was short and I was back at it in no time. 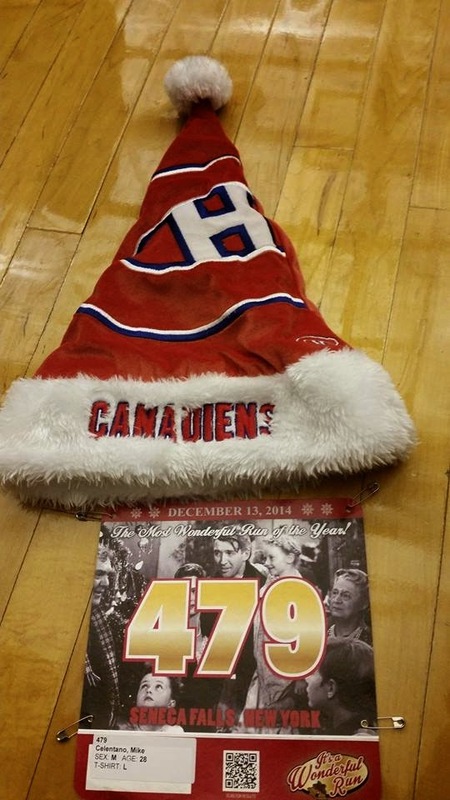 We also went through some changes this year in regard to our friends. We lost a few friends this year, mostly during Ironman training but a few after as well. It hurt, but it also made us stronger in the long run. 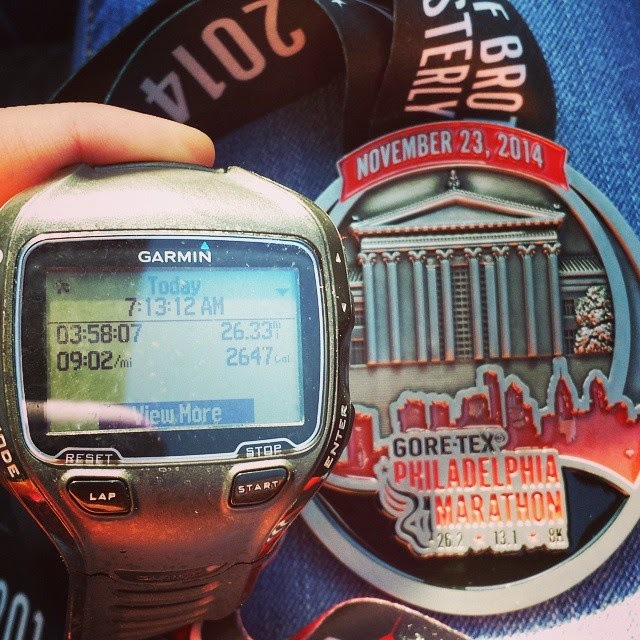 The two biggest surprises for me were my finishing times at Ironman Louisville and the Philadelphia Marathon. I know that I am a strong triathlete, but I never expected to be able to pull off the times that I did at both of these races - let alone in the same year! 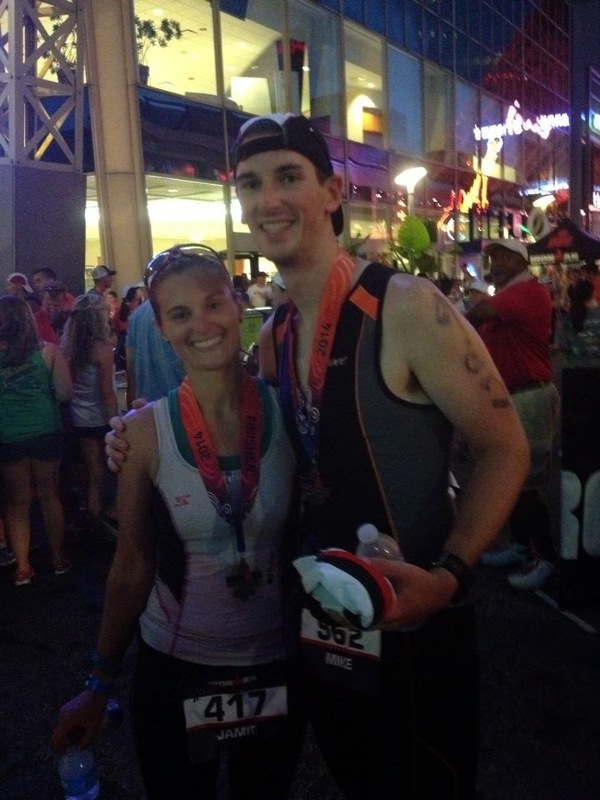 My goal for our Ironman was a sub-15 hour finish, which I beat by almost two hours. After our Ironman, I was shocked at how fast we were running. We were pulling paces that I had rarely seen before and I started to believe that a sub-4 hour marathon was possible. Again, to be able to achieve both of these goals in the same year is something that I still have a hard time believing that I accomplished. 2014 will be hard to top, but I am looking forward to what 2015 will bring! 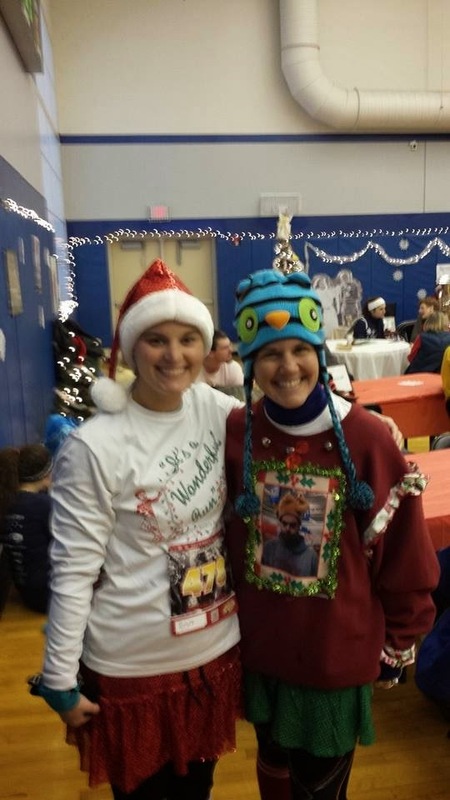 Ever since Mike and I started running we have raced the It's a Wonderful Run 5K every year. Too bad we didn't start running in April 2010 instead of 2011 because then we would have been on the list of "die hards", the people who have raced it all five years. This race is special for me. It is the race where I first ran a sub-30 5K. It is a race where I have PR'd numerous times. 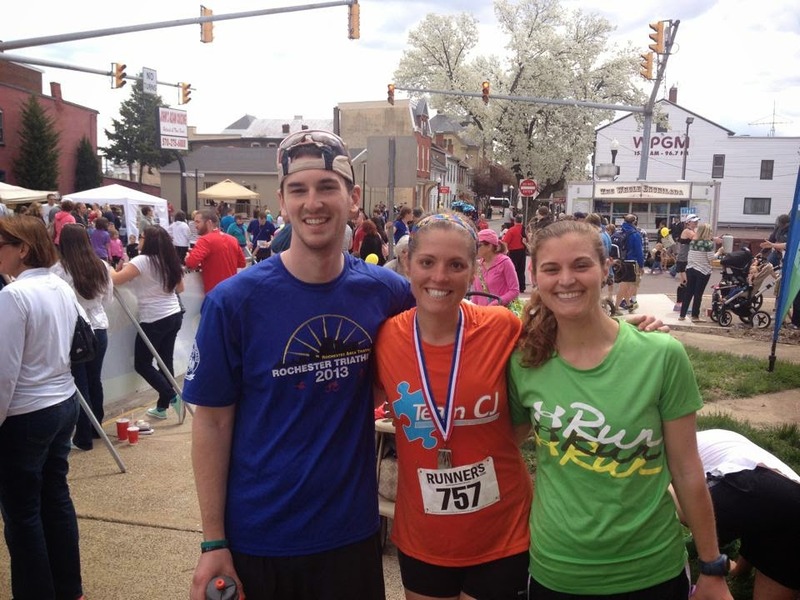 Last year I was able to share it with my best friend, Crystal, and we ran the entire race together through the snow. 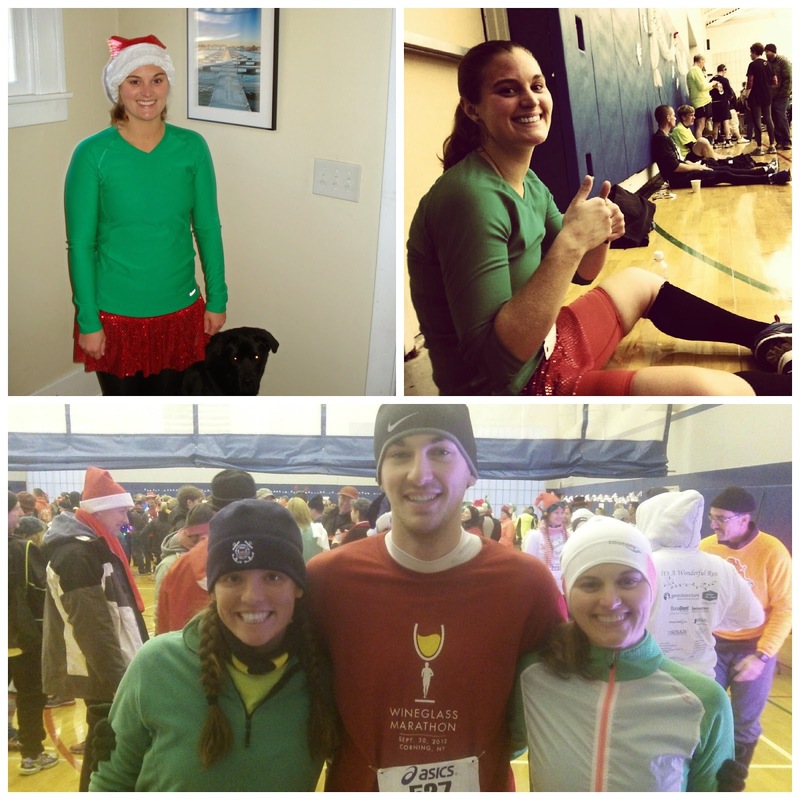 This year, it was our first (and last) 5K of the year. 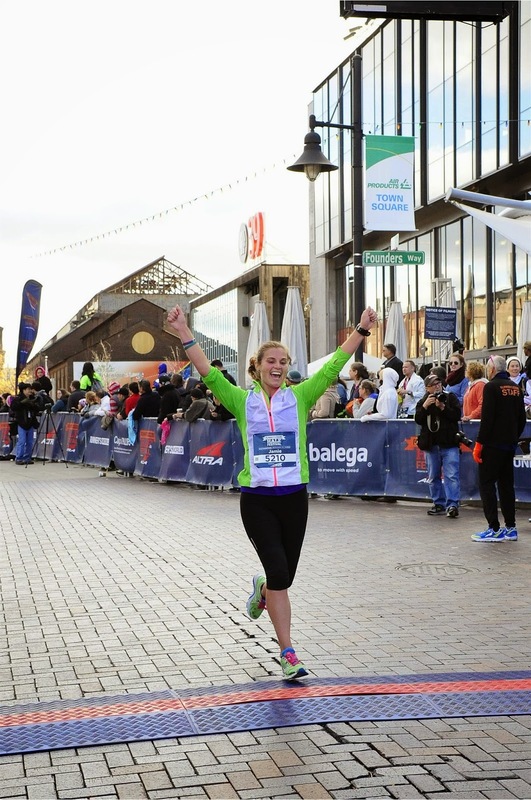 Training for an Ironman and marathon in the same year doesn't give you many opportunities to run short races. After our Ironman, I was running a lot faster. However, after our marathon we hadn't run very much since we were still building our base back up. I was wavering between just running and seeing what happened and going all out. Even at the start line, I didn't really know what I was going to do. Another thing that I love about this race is that it starts at 4:40pm. Seneca Falls, or should I say Bedford Falls, is about an hour away from our house. Packet pick-up ended at 4pm so we left our house at 2:15ish. This gave us enough time to grab some crackers at a gas station for some pre-race fuel, park and get our stuff. The shirts have the same design on them every year, but the color changes. This year it was blue and they added some snow flakes to the design. We went into the community center and waited for our friends Sarah and Rob. After their family arrived, we all hung out and then went outside to get in the port-a-potty line. It didn't take long to get through it and then we made our way to the bridge (yes, that bridge) where the race starts. We went right to the front, maybe a few rows back, because people don't line up appropriately for this race. After a few minutes, Zuzu (from the movie) started the race with her famous line, "every time a bell rings, an angel gets his wings!" As soon as we started I said, "we should have been further up front!" It was a bit crowded at the start, but luckily once we made the first turn things started to spread out. I saw Mike TAKE OFF. He was booking it! I tried not to go out too fast, my downfall of 5Ks, but of course I did. My first mile came in at 7:13, and I knew that I wouldn't be able to sustain that for the rest of the race. I just wanted to try to keep every mile under 8:00 pace, if I was able to do that I would PR (my previous PR of 24:52 is about 8:00 pace). The second mile is a bit of a blur for me, I slowed down quite a bit and I wasn't sure if I would actually PR. I just focused on getting to the turns (a benefit of running this race multiple times). There was this one guy running near me at this point, and the majority of the rest of the race, and he was breathing extremely loud. It was bothering me, but I just tried to ignore it. My second mile came in at 7:54 pace, whoops. I actually started to feel a bit better during the third mile, and after making one of the last turns I was able to pick up the pace a bit. Right after crossing the railroad tracks, I heard someone near me say, "we are at 21 minutes". I knew that I had about a half mile to go so I tried to pick it up. My third mile came in at 7:43 pace. After making the final turn, which has a slight uphill, I made my way down the hill to the finish. 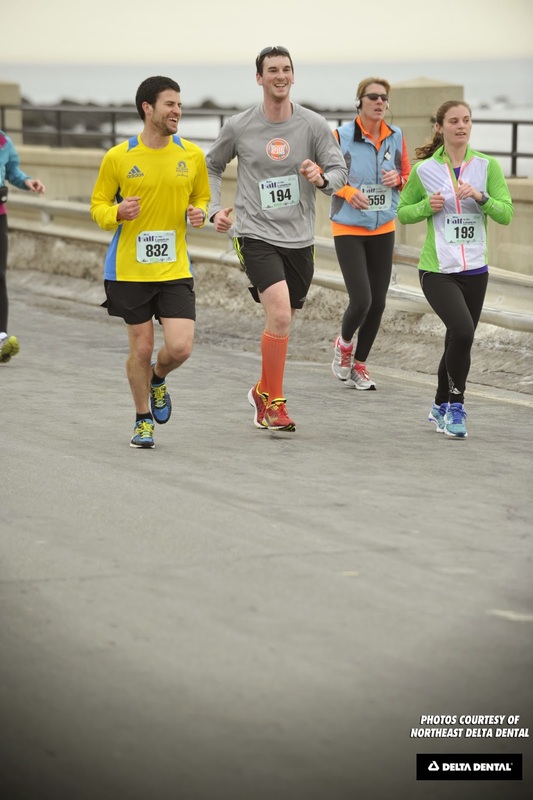 Right as I got to the finish line, I heard Mike cheering me on from the sidelines. I managed to PR by a little over a minute, with a finishing time of 23:48. After finding Mike, I found out that he had PR'd too (just by a few seconds, but a PR is a PR) with a finishing time of 22:00. We found Sarah and Rob at the finish line, and after hanging out for a bit we all went home. I love It's a Wonderful Run! I love this race so much, and I hope that we can continue to run it every year. It is a great way to end the racing season! Hi there. Remember me? I used to blog on here regularly. In case you forgot what I look like, and my cheesiness. I don't know what it is lately, but I don't have much to talk about. I think it still feels like I am not doing much, and compared to Ironman training, I'm not. After the Philly Marathon, Mike and I took the entire week off from running. We did a short run when we got back to Rochester after Thanksgiving. Since we only have a 5K left for the year, we are in our off season right now. The off season, for us, doesn't mean that we don't do anything. Granted, we typically reduce our running mileage but we increase our swimming and cycling mileage. This was easy to do after marathon training since our last swim was a late season open water swim the second to last day of September. Our last ride was a 23 miler a week before our last swim. Whoops. This week, we made up for not swimming. We both swam twice (one time was separately). My yearly goal was a bit ambitious (I didn't count how many miles I had planned before making my goal) at 150 swimming miles. I am currently at just above 91 miles, so my goal now is to hit 100+ miles. I have a friendly competition going with someone (who is close to me in swim miles) to see who has the most by December 31st. I'm pretty sure he'll beat me, especially considering our pool will be closed for two weeks starting on December 22nd. I have some work to do to hit my new goal! I also started riding on the trainer again this week. Mike needs some motivation to start riding again (maybe for 2015 he should set some mileage goals to help with this!) I was able to get 26 miles between two rides, not too bad. My MPH has been surprisingly good, for me, at around 16mph. I'll take it! We also brought back two things we used to do a lot more often: trail running and strength training. We did two levels (one and two) of Jillian Michaels 30 Day Shred. I think that was a bit ambitious, since we did the levels back to back in one sitting, but it was good to get some strength and core work in. This photo is from last year, there was a lot more water on Saturday! 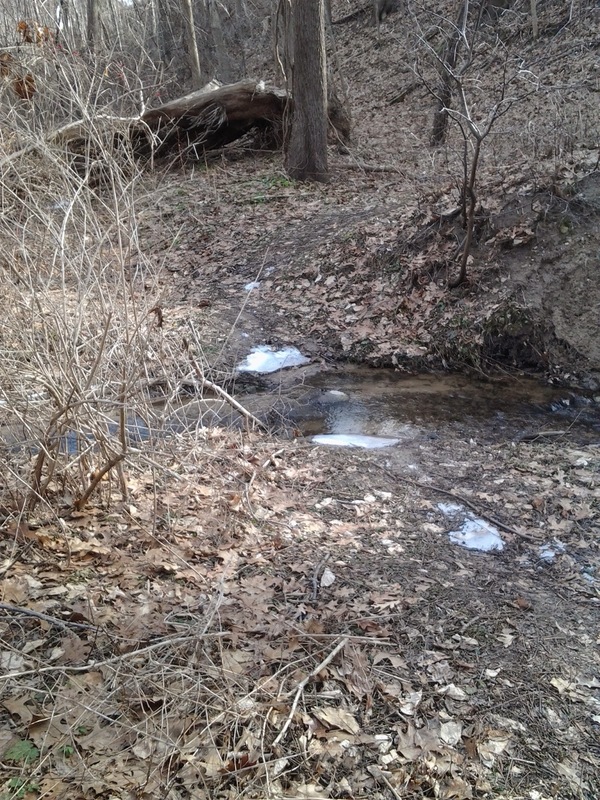 Saturday, we ran 10 miles on my favorite trail. Of course, I fell right at 10 miles. Who does that? Me, I guess. My ankles have felt a little bit sore, so we will be easing back in to regular trail running. I'm looking forward to some more unstructured, but somewhat structured, training in the next month or so before the hard training starts back up again! I hope you all had a wonderful Thanksgiving! Mike and I had a great time, but I am glad to be back home. I am ready to get back on a normal schedule, while the holidays are fun they are exhausting because of the travel, not sleeping in my bed and being thrown off of our regular workout and nutrition routine. It will be easy for us to get back on schedule, though, since we aren't traveling for Christmas this year. If you didn't notice, the blog has a new look! Last night I was playing around with it and I decided it was time to change it up a bit. Since I race in "watermelon" colors often, I thought this was a good fit. I hope you agree! Not including today, there are only 30 days left of the year. Where has this year gone?! It seems like yesterday that I was coming off of my injury and getting ready to start Ironman training. Now it has been more than 3 months since our Ironman and more than a week since the Philly Marathon. 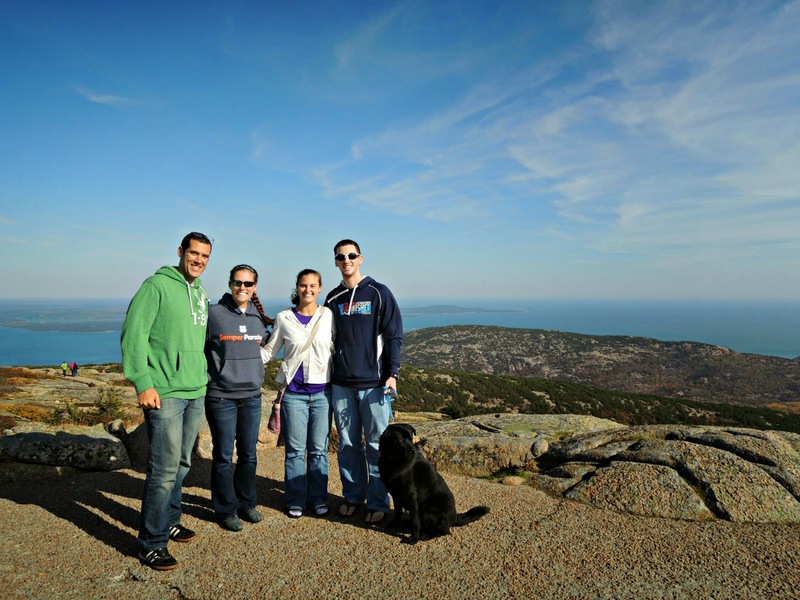 While we have a lot of fun adventures planned for 2015, I kind of want 2014 to slow its roll. The rest of the year, I am going to focus on me. I am going to run when and how much I want (not to the point of injury), and get back into swimming and cycling. I am ready to unplug more often, go for walks with Mike and Bernie, go to the movies (we have quite a few coming up that we need to see) and enjoy the things in life that truly make me happy. 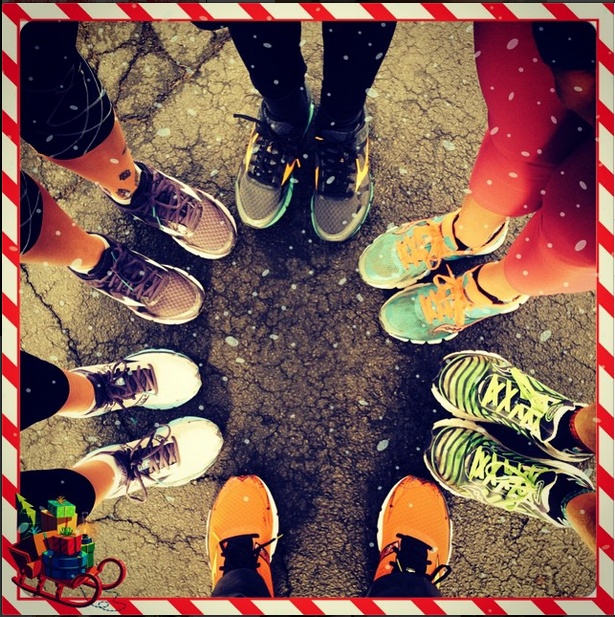 I am looking forward to our final race of the year, a 5K that we have run every year since we started running, and spending time with friends around the holiday. Pretty soon it will be time to get back to business and we will be working hard to get faster and stronger. I think taking the month to focus on things that make me happy will put me in the right mindset to do just that!